Democratic New York Rep. Alexandria Ocasio-Cortez and Massachusetts Sen. Ed Markey could unveil “Green New Deal” legislation as soon as early February, according to Axios. Ocasio-Cortez told reporters nine days ago her staff was in the “drafting phase” of legislation to “essentially just define the scope” of the “Green New Deal.” The plan has become a rallying cry on the left and now has the backing of Democratic 2020 presidential hopefuls. 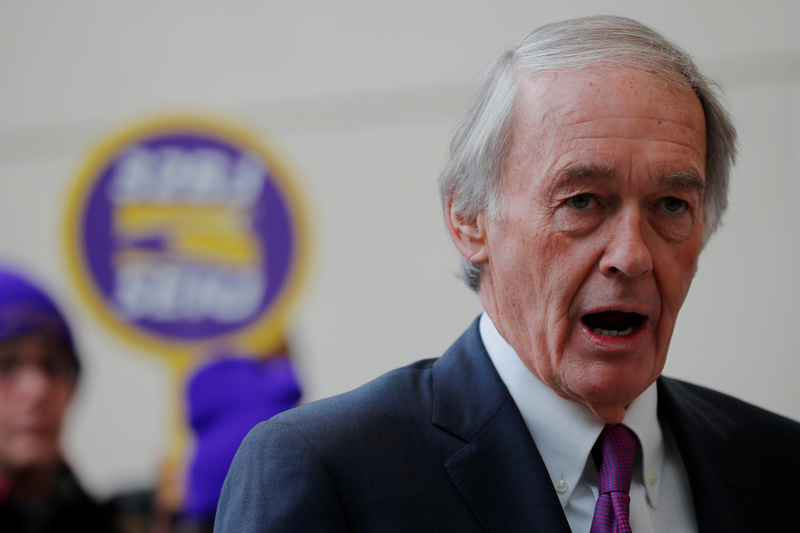 Markey’s office said the “Green New Deal” bill hasn’t been finalized and “timing isn’t final yet for next week,” Axios reported Wednesday evening. Sunrise Movement co-founder Varshini Prakash, who helped write the original draft bill posted online, told Axios legislation is due next week. The Sunrise Movement, an environmental group of activists in their 20s, has been the most aggressive in pushing a “Green New Deal.” The group has at least twice occupied congressional offices, including then-Minority Leader Nancy Pelosi’s in December. U.S. Rep. Alexandria Ocasio-Cortez (D-NY) speaks at House Democrats news conference to reintroduce the H.R.7 “Paycheck Fairness Act” on Capitol Hill in Washington, U.S., January 30, 2019. REUTERS/Yuri Gripas. A growing number of Democrats back a “Green New Deal,” including progressives looking to challenge President Donald Trump in 2020. California Sen. Kamala Harris became the most recent 2020 candidate to support the plan. 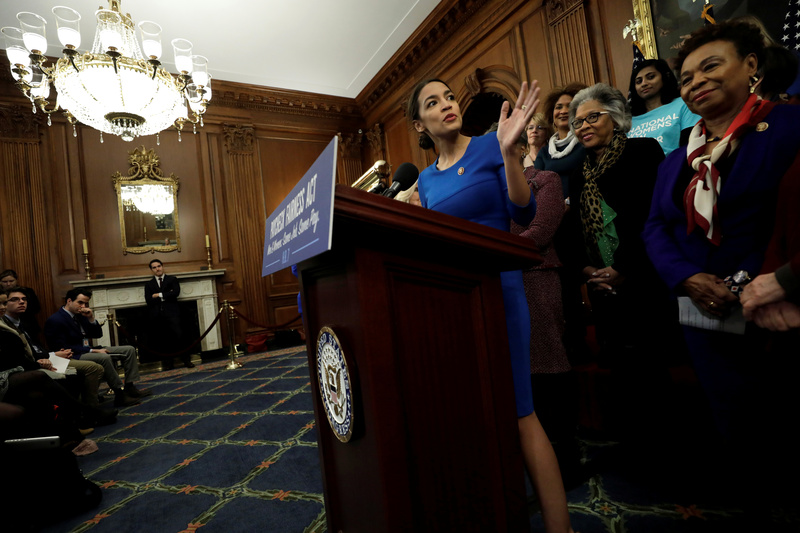 However, not everyone on the left is getting behind a “Green New Deal.” Top House Democrats have not supported the idea, including New Jersey Rep. Frank Pallone, chairman of the House Committee on Energy and Commerce. Pallone and other committee chairs have their own legislation they want to push, and don’t see a “Green New Deal” as a viable plan. “This is something that we should take a look at, but some of it may not be technologically or politically feasible,” Pallone said in early January. U.S. Senator Ed Markey (D-MA) speaks about federal government employees working without pay and workers trying to unionize at Logan Airport in Boston, Massachusetts, U.S., January 21, 2019. REUTERS/Brian Snyder. As it stands now, the “Green New Deal” is a broad set of goals, including 100 percent green energy, job guarantees for displaced workers and universal health care. Draft legislation posted online by Ocasio-Cortez staffers calls for the creation of a committee to put together legislation to meet broad energy and social justice goals. It’s not exactly clear what will be in Ocasio-Cortez and Markey’s bill, but the freshman Democrat did hint to reports what the plan would not be.